Sean Spicer resigned last week as White House press secretary. He was replaced by longtime Trump loyalist Anthony Scaramucci. He did an interview with Sean Hannity on his departure and what he truly feels about President Trump. For any on the left or in the media breathlessly tuning in to hear Spicer smear his now former boss, they were about to be incredibly disappointed. Sean had nothing but good and gracious things to say about President Trump and serving under him. However, he did have some things to say about the media and those were not nearly as warm and fuzzy. Spicer is disappointed in the way the media does their job… no shocker there: “I don’t want to paint everybody with the same broad brush. But I do think that the majority of folks now in the briefing room, that are going into journalism — they’re not there for the facts and the pursuit of the truth. Rather, they’re trying to figure out, ‘How do I get on TV, how do I become a YouTube star?’ And that’s disappointing,” he said. It’s all about viewage and clicks these days sadly. 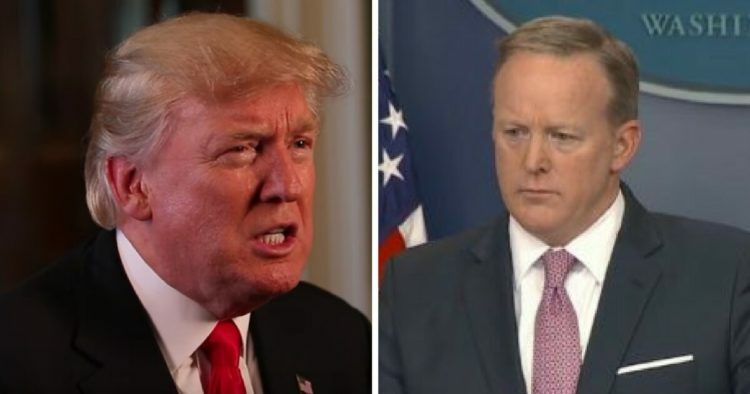 Outgoing White House press secretary Sean Spicer praised President Donald Trump as “unbelievably gracious” during his Friday night appearance on Sean Hannity’s Fox News show. 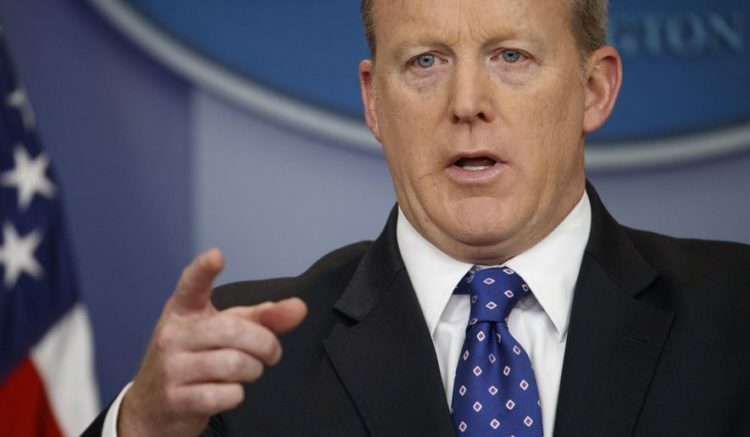 Spicer, who served as press secretary during the tumultuous opening weeks of the Trump administration, said Friday he would be stepping down next month. He will be replaced by Sarah Huckabee Sanders. Also Friday, Trump named Anthony Scaramucci as communications director. “I guess after tonight you’re probably going to be one happy guy,” Hannity said to Spicer, referencing Spicer’s battles with the media. “I just thought it was in the best interest of our communications department, of our press organization, to not have too many cooks in the kitchen,” he added. Sean Spicer faced an incredibly hostile media from the very beginning of his six-month tenure. He went toe to toe with them almost every day and he never ever gave ground. I think he is a good man and I think the way he was treated by the left and the media was abysmal. Spicer will be replaced by Sarah Huckabee Sanders. She’s good too and I am sure will do a great job. Spicer resigned because he did not agree with the President’s decision to bring Scaramucci on board. He thinks it’s a mistake and to be candid, Spicer had wanted the position himself. But he evidently does not hold a grudge and he still supports the Trump administration. The media, not so much.